Are you looking for a creative escape that is all about you? Would you love some time out to Relax, Recuperate & Rejuvenate while expanding your creative dreams with like minded people? 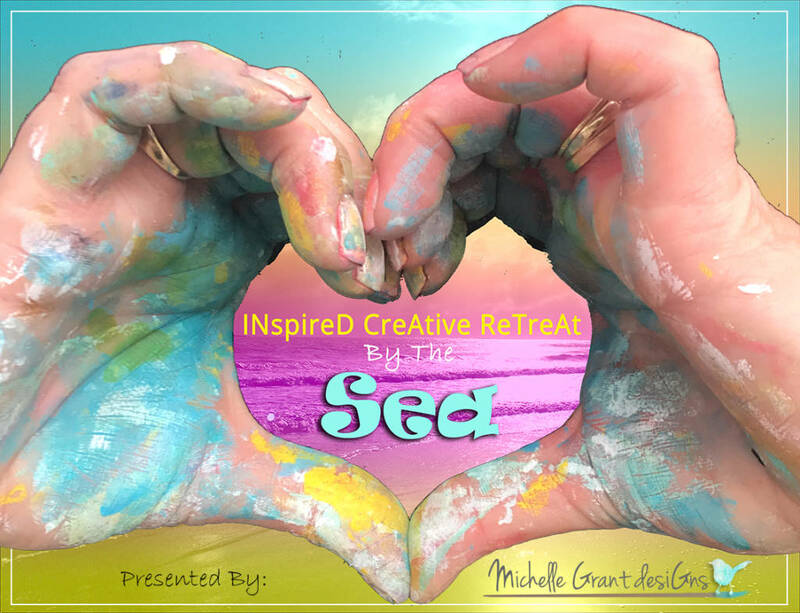 Let us inspire you on your creative journey at an exclusive location by the sea. You will have the opportunity to learn many different art forms from drawing to abstract art, mixed media and so much more. The classes will be tailored to each person individually. There is only room for 7 people at this retreat so I can give each person the personalised coaching you will need to grow and develop your skills. The retreat includes all meals and accommodation as our guest at our families secluded beach. You will be able to create to your hearts content on the deck overlooking the sea while watching the whales swim by. The retreat also includes a 1/2 hour massage for each person & cocktails on the deck. You will receive a product pack included with your classes and there will be a small list of supplies that you will need to bring that will come out when your class schedule that has been finalised. Places are extremely limited and have already had a lot of interest and will fill quickly, If you miss out on this first retreat send me an email if you would like to go on the wait list for the next one.